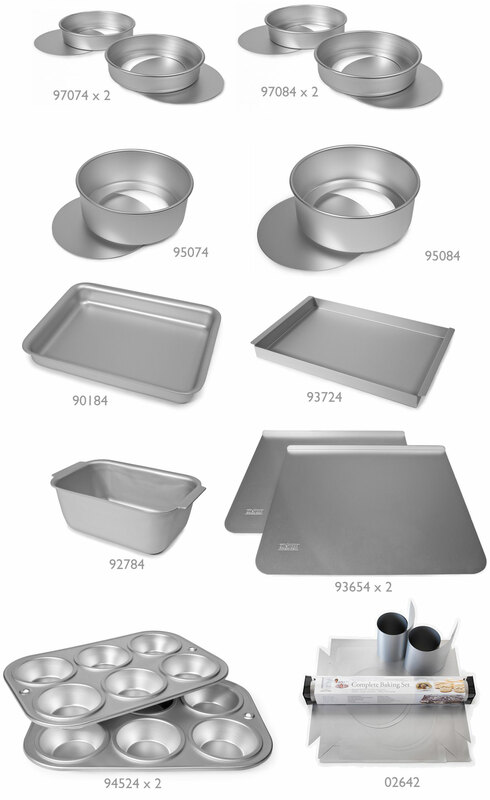 The Full Delia set includes a pair of each of the 18 and 20cm (7 and 8in) sponge tins, pairs of the baking sheets and muffin trays, and the single pieces of all other items. Also included is a full set of the new Silver liners. Product code for the full set: 99624.